How does one woo the girl he desires to get close to? Chocolates? Gifts? Compliments? A lot of women like attention too... If she reciprocates with a coy smile or a blush, or breaks into a cheery laughter, the guy knows that the girl is reciprocating. The maxim hasee toh phasee holds so true then! Come to think of it, when two polar opposites in terms of cinematic sensibilities -- Dharma [Karan Johar] and Phantom [Anurag Kashyap, Vikramaditya Motwane, Vikas Bahl] -- join hands and produce a project, one expects a genuinely hatke fare from this unique partnership. Additionally, the release of HASEE TOH PHASEE has been timed a week prior to the Valentine's week and one expects this to be a scrumptious as well as distinctive take on love and romance, courtesy the two brands associated with the film. Is it one? First, the plot! 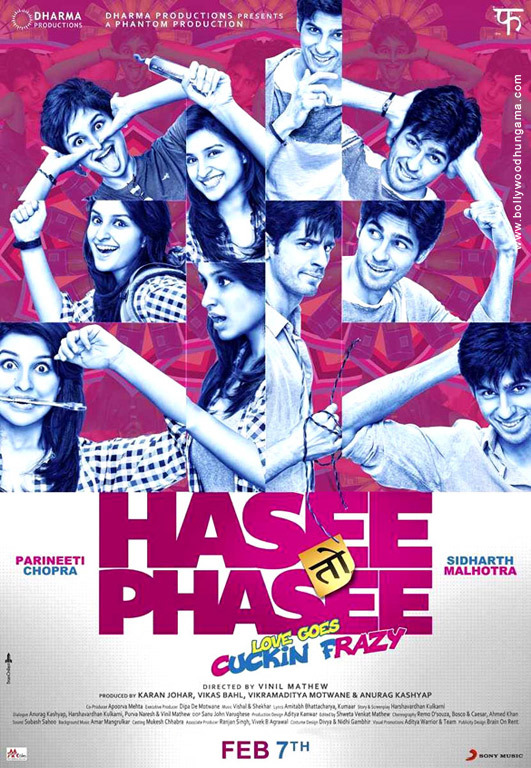 HASEE TOH PHASEE is about the rebellious Meeta [Parineeti Chopra] and the mischievous Nikhil [Sidharth Malhotra], who are struggling to fit into their respective families. Nikhil bumps into Meeta on the occasion of her sister Diksha's wedding and falls in love with her other sister Karishma [Adah Sharma]. Years later, Nikhil and Karishma are busy with their pre-wedding celebrations. Meeta returns to Mumbai after being away from home for years [only Karishma is aware that she's back!]. Karishma asks Nikhil to find her an accommodation, away from her family. Not happy with the accommodation that a contact has set up for Meeta, Nikhil lets Meeta live with his parents [Sharat Saxena, Neena Kulkarni] and relatives. Opposites attract and love blossoms. Doesn't it sound perfect... and repetitive? Isn't this the traditional formula for a rom-com? 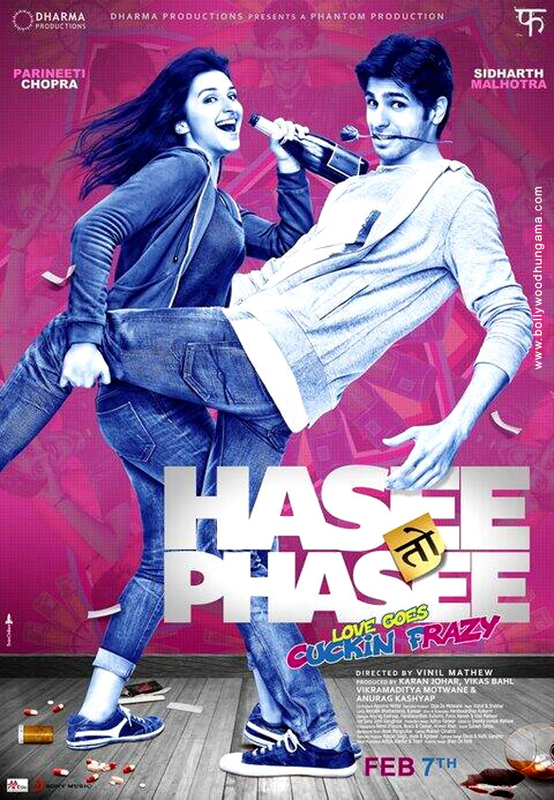 But HASEE TOH PHASEE dares to be distinctive. This one's *not* merely about opposites falling in love. This one's a quirky love tale involving two individuals, shades different from the mundane stuff on matters of heart. First-time director Vinil Mathew creates a simplistic environ, weaving wonderful moments in the narrative. The humor is not of the slapstick variety [thankfully! ]; it's more subtle and situational. The emotional moments are not heavy either; they percolate most unpretentiously. I'd like to single out two episodes here, both in the second half of the enterprise: First, the emotional outburst of Manoj Joshi, when he comes face to face with Parineeti and second, the sequence during the closing stages of the film, between Sidharth and Parineeti. It gets you all moist-eyed. What's worth noting is that Vinil doesn't speed up things to make Sidharth and Parineeti fall in love. Furthermore, the writer incorporates vignettes in the love story that appear so genuine, so bona fide. It won't be erroneous to state that the film is in the same space as Hrishikesh Mukherjee/Basu Chatterjee films... subtle, restrained and natural. Conversely, there are times when you feel that the writing could've done with absorbing episodes towards the first half. The sluggish pacing is another deterrent [again, in the first hour!]. But these are minor glitches, since the post-interval portions manage to camouflage the deficiencies. HASEE TOH PHASEE is gorgeously filmed and has the required finesse. 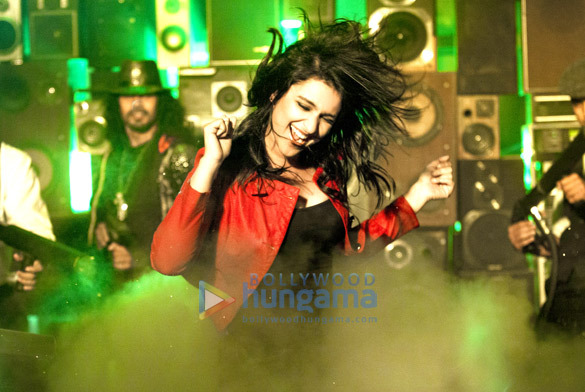 Vishal-Shekhar's musical score only enhances the mood and setting. The duo packs in soothing-and-soulful ['Zehnaseeb' and 'Manchala'] and entertaining ['Shake It Like Shammi' and 'Drama Queen'] tracks, making it an infectious album. Sidharth is a revelation and the scene stealer! He enacts the role of the middle class guy with restraint and complete understanding. It's a mature act, with the one-film-old actor handling the delicate moments with utmost sensitivity, bringing a lot of credibility on table. At the same time, he is full-on charismatic when required, especially in the dance numbers. One may assume that Parineeti is getting typecast in similar roles [spunky, quirky, livewire], but you've to credit the actress for bringing in a lot of freshness to her character in HASEE TOH PHASEE. 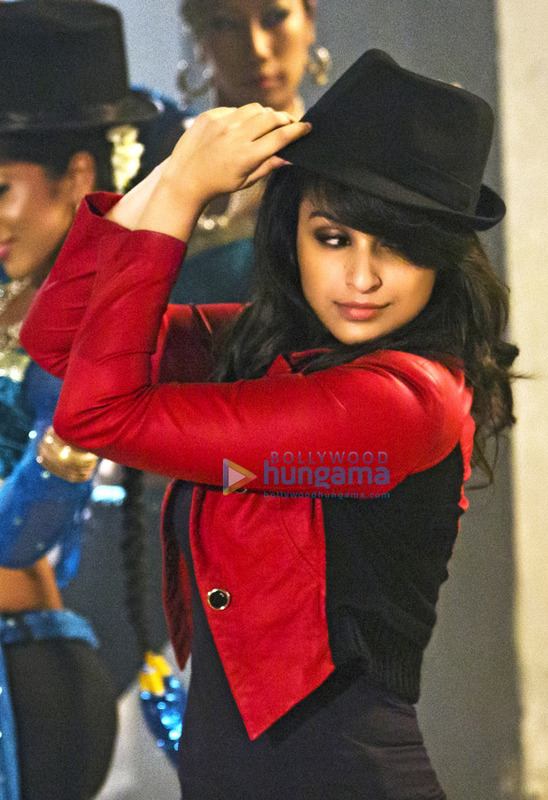 Far from being a shy and bubbly girl, Parineeti is a delight to watch in sequences that are full of life. At the same time, she infuses subtlety and warmth in sequences that demand her to be serious/thoughtful. She is tremendous yet again. In short, the two actors, Sidharth and Parineeti, carry the weight of the love story on their able shoulders without floundering even in a single sequence. Adah Sharma is a natural. One strongly feels she hasn't got her due, despite leaving an impression in every film she's featured in. She's first-rate once again. The film stars a host of talented names such as Sharat Saxena, Manoj Joshi, Sameer Khakhar and Neena Kulkarni, but I'd like to single out Manoj Joshi [outstanding] and Sameer Khakhar [exceptional]. 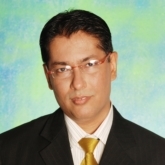 Anil Mange is super. On the whole, HASEE TOH PHASEE is a bright-and-breezy, charming and refreshing rom-com that makes you smile, laugh and gets you moist-eyed at regular intervals. A qualitative film that warms the cockles of your heart. Go for it!